This angel has sparkling wings and holds a purple rose. She is accented with an aurora-borealis crystal. 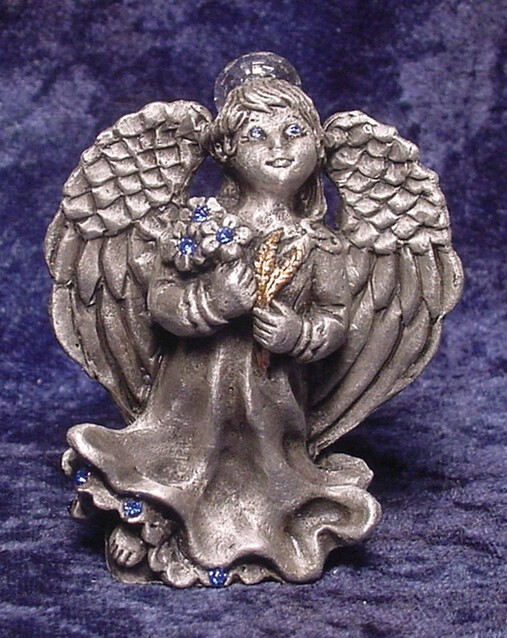 This is a cute little pewter angel girl accented lightly in gold at the bottom of her gown and her golden wings. A colorful Swarovski crystal accents this figurine (birth month crystals are available at no extra charge). She is finished in a hand-buffed Satin Matte Finish. ANG01 -- Angel RETIRED and Limited Availability! 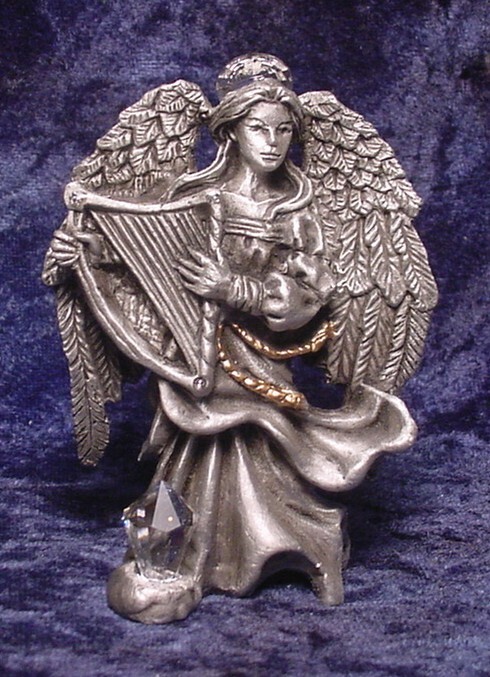 This beautiful pewter angel holds a crystal ball and has an Austrian "crystal halo" which sits atop of her head. We have accented her wings lightly with a colorful crushed crystal effect. This is a beautifully detailed angel. Her wings on top are etched in gold. Our little angel is finished in a hand-buffed Satin Matte Finish. 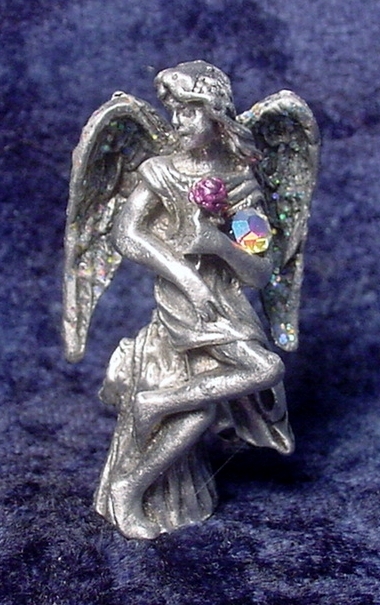 This little pewter angel is accented with a colorful Swarovski crystal. 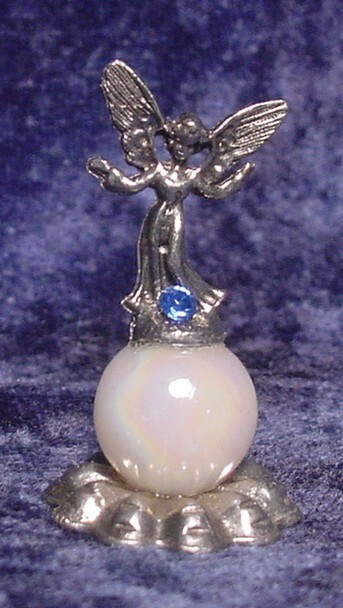 She stands on an iridescent white ball and a pewter base. Let this little angel help make your dreams come true. 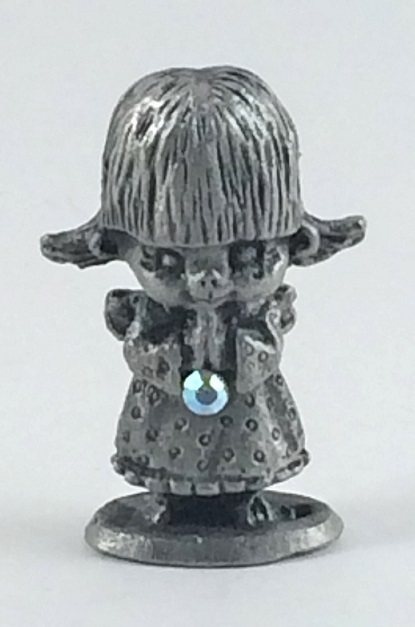 This pewter angel girl has blue crystal eyes and wears a crystal halo. She holds flowers with blue crystal centers and some golden leaves. More blue crystals accent the bottom of her gown. This figurine is done in a hand-buffed Satin Matte Finish. 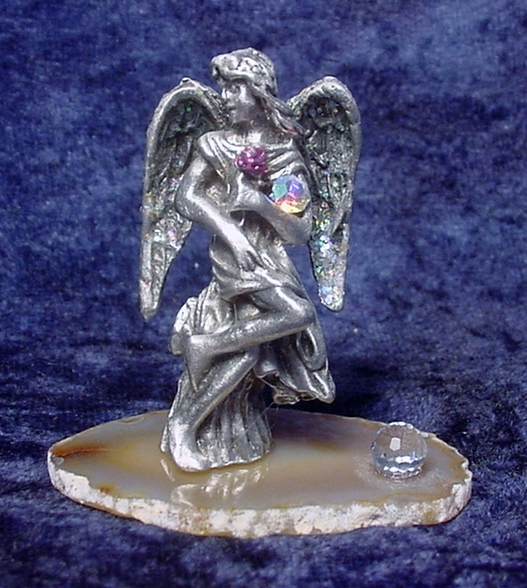 This pewter angel wears a crystal halo and has a golden belt. 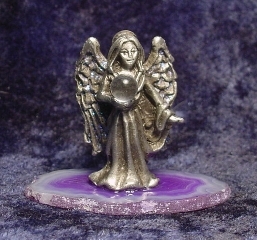 A clear faceted crystal point accents this figurine on the base. This figurine is done in a hand-buffed Satin Matte Finish.